So, you don’t know exactly what to get your mom for Mother’s Day? I can tell you. Unless she’s told you something specific that she would like to have (you’ve been paying attention, haven’t you?) I can tell you right now what she wants. 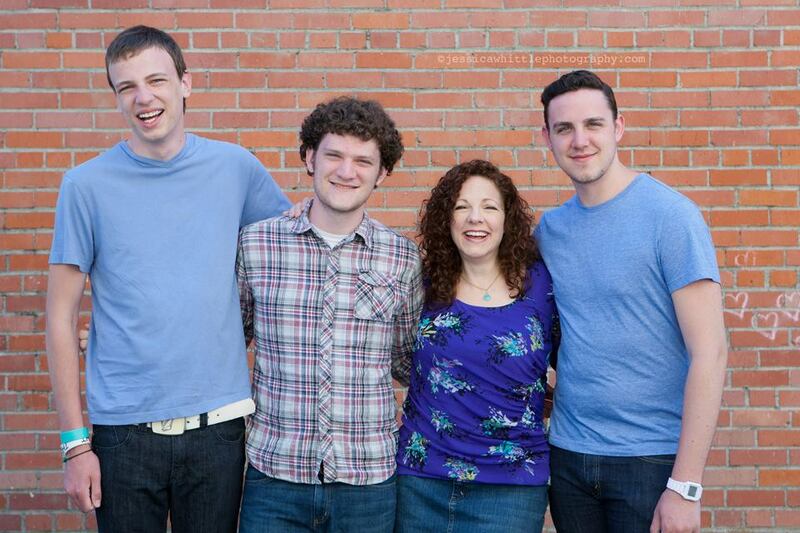 My boys and me, taken by photographer and friend Jessie Whittle. And if your mom likes to eat, you could honor her by making her something special to eat! It doesn’t have to be fancy or expensive; if her kid makes it, without being told to, for her…it will be her favorite thing ever. 1. 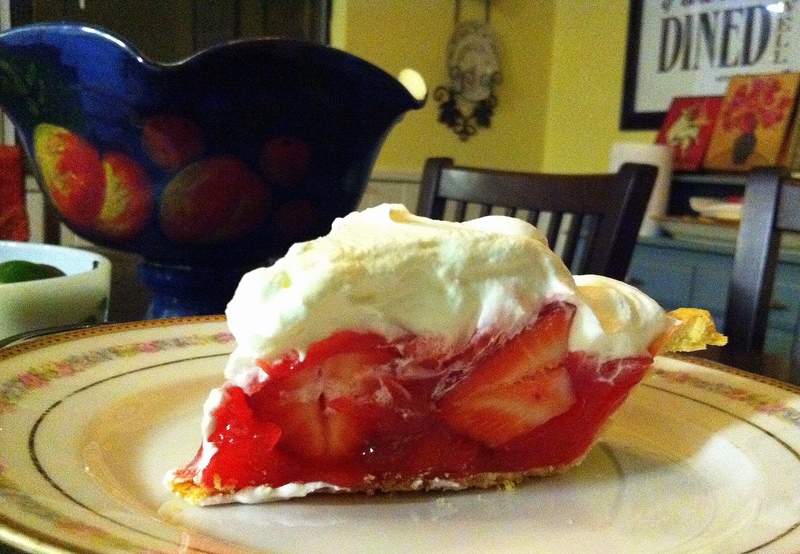 Strawberry pie – This recipe is easy because you can use a crust you buy at the store for a couple of dollars, a pint of berries that is under two dollars, a 99 cent package of strawberry jello, and some sugar and cornstarch. Buy a can of Reddi-Whip if you’re scared to try making your own whipped cream. Altogether, a great gift for about $8. 2. Is your mom into chocolate? 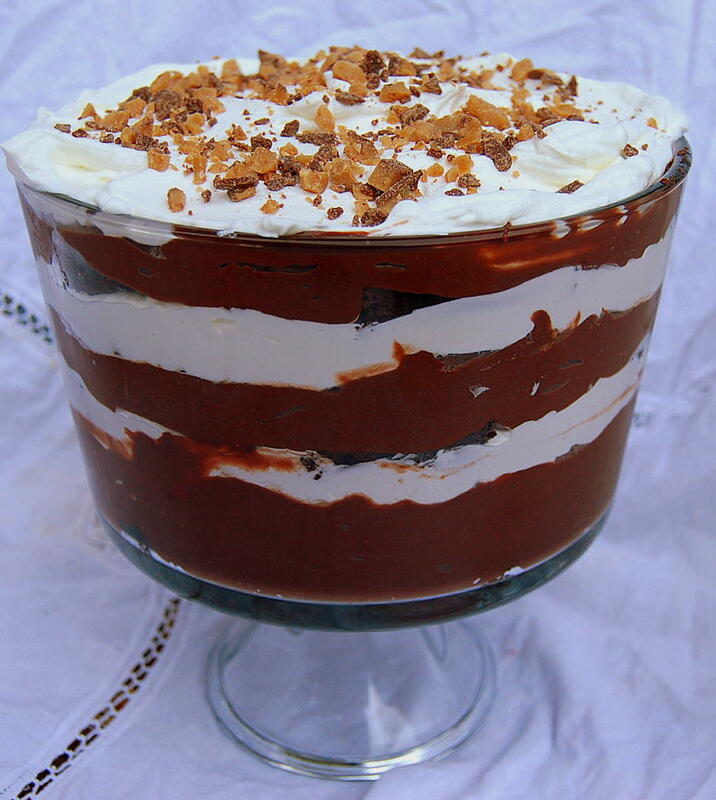 Make this “Death by Chocolate” Trifle! Assemble the trifle in a large bowl, beginning with layer of brownies, then layer of pudding, then layer of whipped cream, topped with Heath chips. Repeat, finishing with whipped cream topped with a sprinkling of Heath chips. 3. 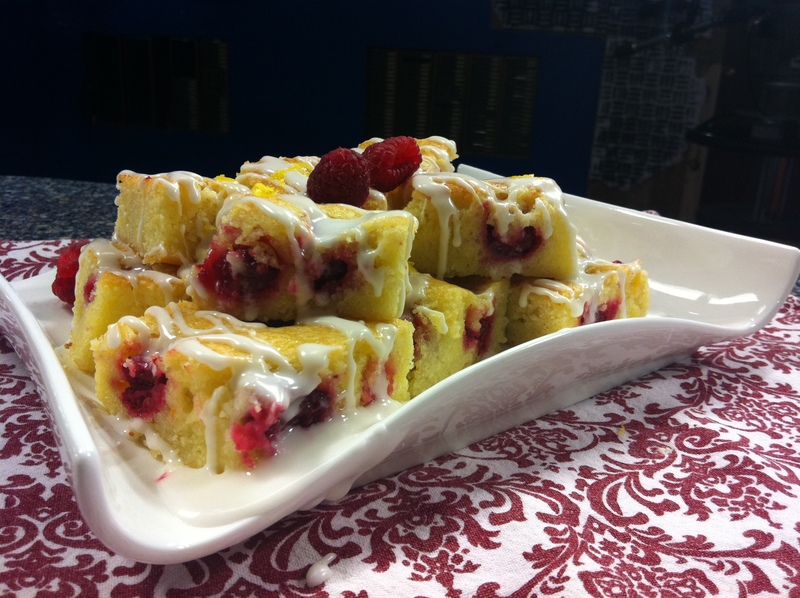 Lemon-raspberry brownies – Lovely to look at, delicious, and not hard to make! Click here. 4. 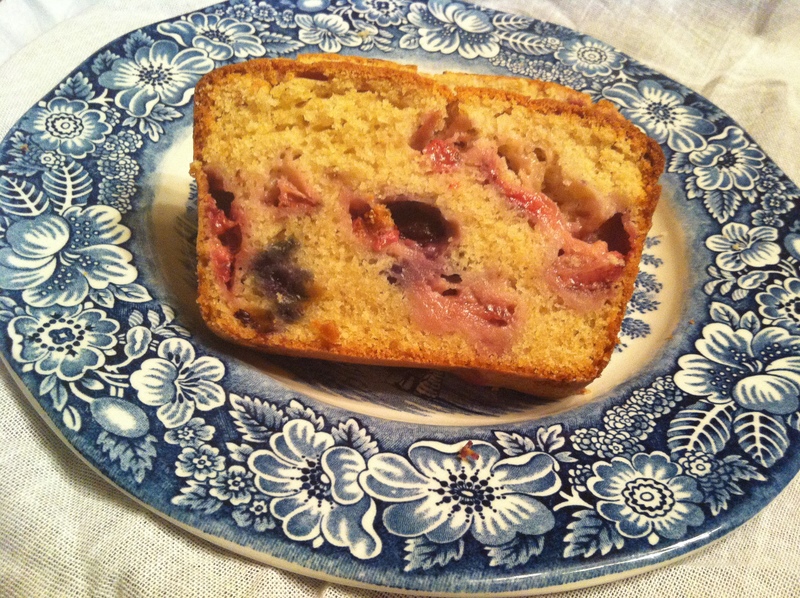 Strawberry- blueberry breakfast bread... would be a nice surprise for her to wake up to! 5. 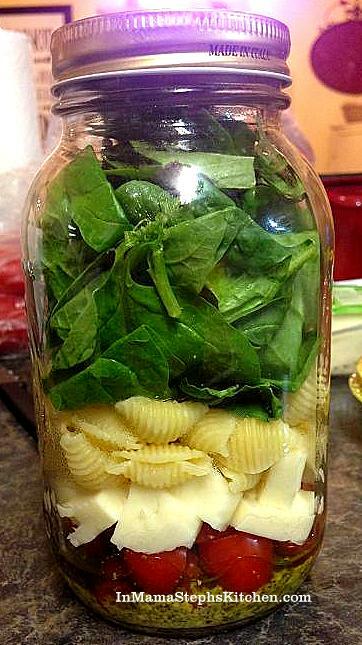 Mason Jar ideas! I’m a mom and I love things in mason jars, so…maybe a picnic with mom? Other cute ideas, too. Click here. Here’s one more thing…well, really, 16 more things. She’d love to just hear any of these from your mouth. So, now, go and treat your mom (or whoever you had in your life who was like a mom to you) especially, consciously, well. And do that everyday, not just on Mother’s Day, of course. 🙂 But really don’t forget on that day. Copyright 2014 Stephanie Hill-Frazier. All rights reserved. Previous Post Grilled cheese for every craving + the soup to dunk it in! We tried the Strawberry Pie and loved it. Also you have a nice family of boys. Great Mother’s Day picture.